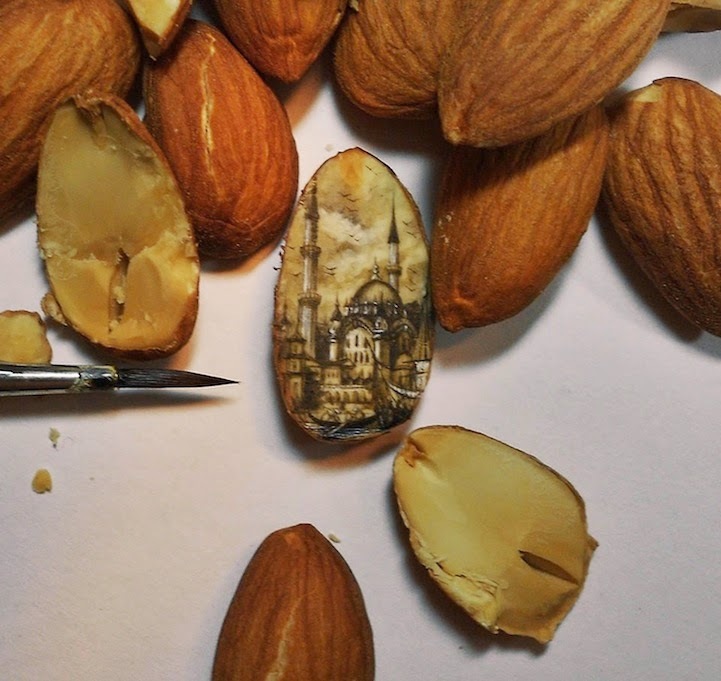 these incredible tiny artwork made by Hasan Kale an artist from Turkey. 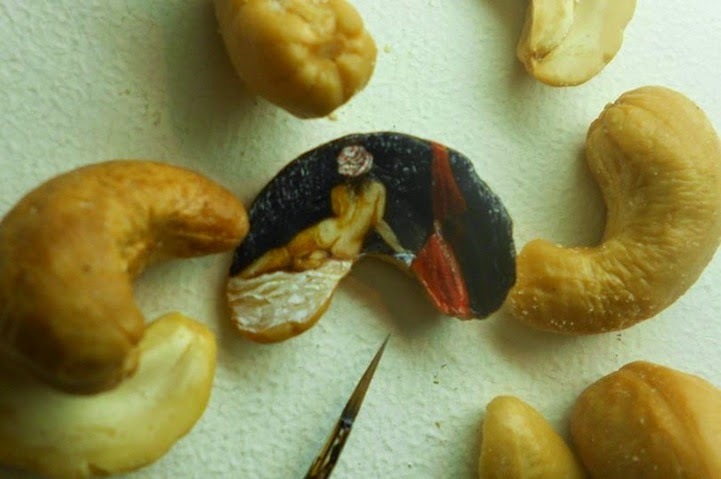 he has skill to create amazingly tiny peace of artwork just using his precise steady hands and a paint brush with fine tip. he itentionally select a difficult canvases to exhibit his skill like a snail shells or butterfly wings. 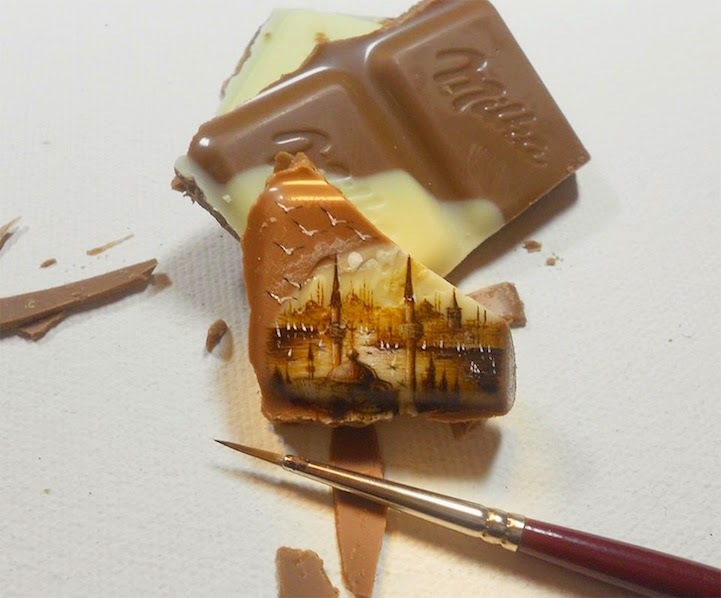 Nowadays his canvas is the daily foods we eat like : a piece of chocolate, eggs, peanut shells, bread and other different items is the place where he paints his magnificent landscapes with lots of details in it.